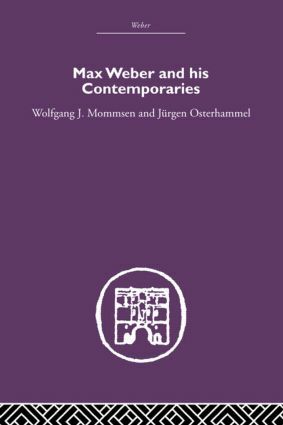 Max Weber and His Contemporaries provides an unrivalled tour d'horizon of European intellectual life in the late nineteenth and early twentieth centuries and an assessment of the pivotal position within it occupied by Max Weber. Weber's many interests in and contributions to, such diverse fields as epistemology, political sociology, the sociology of religion and economic history are compared with and connected to those of his friends, pupils and antagonists and also of those contemporaries with whom he had neither a personal relationship nor any kind of scholoarly exchange. Several contributors also explore Weber's attitudes towards the most important political positions of his time (socialism, conservatism and anarchism) and his own involvement in German politics. This volume contributes not only to a better understanding of one of the most eminent modern thinkers and social scientists, but also provides an intellectual biography of a remarkable generation. This book was first published in 1987.